One way protest works is by provoking overreaction from opponents. Remember, Colin Kaepernick sat out the national anthem for three days before anyone noticed. It was the reaction from people who took offense that drew attention to the quarterback and–to a somewhat lesser extent–his concerns. The tempest surrounding the anthem protest drew others in, including people who emphatically supported his right to protest more than the justice or wisdom of his approach. The Seattle Seahawks are apparently planning a team action during the anthem of their next game, emphasizing their unity. 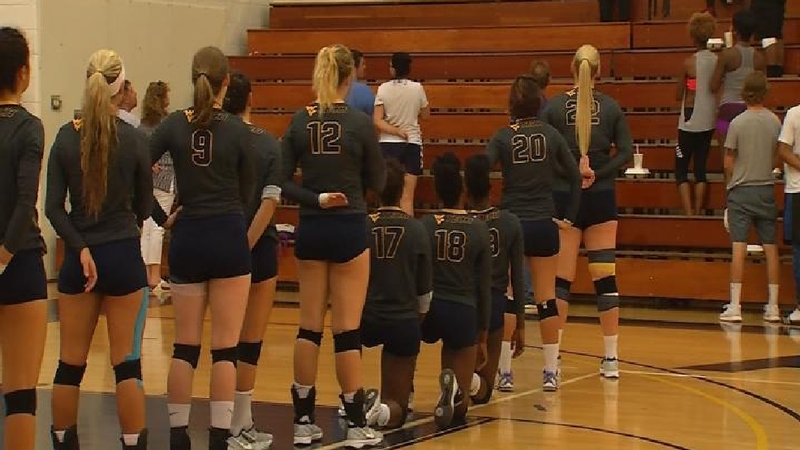 Three women on West Virginia Tech’s volleyball team took a knee during the pre-game anthem, in support of Kaepernick’s protest. 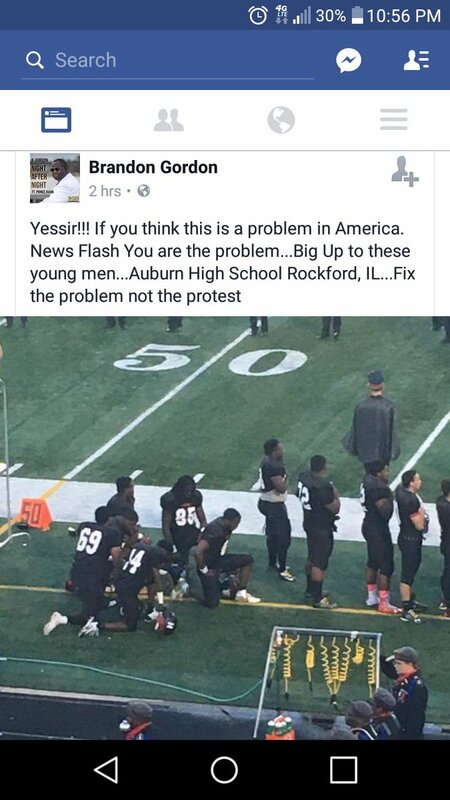 And high school athletes scattered across the country are beginning to see new opportunities in the anthem as well. If this leads to discussions of police violence in American high schools and stadiums–or even the Bill of Rights, it’s due not only to Colin Kaepernick, but also the people who would shut him down. Now Republicans in the House of Representatives have to figure out when reacting will be overreacting. 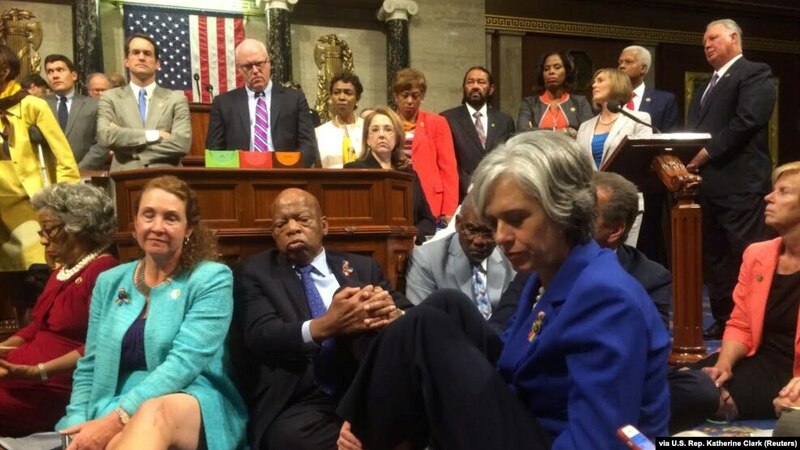 Frustrated Democrats literally took to the House floor in J une of this year, staging a sit-in to call for votes on a series of gun control measures. Incensed, Speaker of the House Paul Ryan closed the session. The sit-in violated both the informal norms and the rules of the House, which allow the majority to dominate and marginalize the minority. Republican representatives are still angry, and they want to punish the Democrats for their insolence. Punishment here is less likely to involve police dogs than a nasty resolution of disapproval. The question: is it worth it? Any punishment will recall–if not reopen–a debate about gun control on which the Democratic position enjoys more popular support. It will put the well-liked and collegial Speaker Ryan in direct confrontation with Rep. John Lewis, always (and accurately) described as an iconic hero of the civil rights movement. It’s ground Democrats would like to defend in the run-up to an election. The Democrats are daring the Republican leadership not to do the smart thing–and look away. I’d bet the Republicans take the dare. This entry was posted in Uncategorized and tagged Alexander Hamilton, Alien and Sedition Acts, athletes, Bill of Rights, Colin Kaepernick, Constitution, gun control, high school, John Adams, John Lewis, Lin-Manuel Miranda, national anthem, opponents, overreaction, Paul Ryan, police violence, reaction, Seattle Seahawks, sports, tolerance, volleyball. Bookmark the permalink.